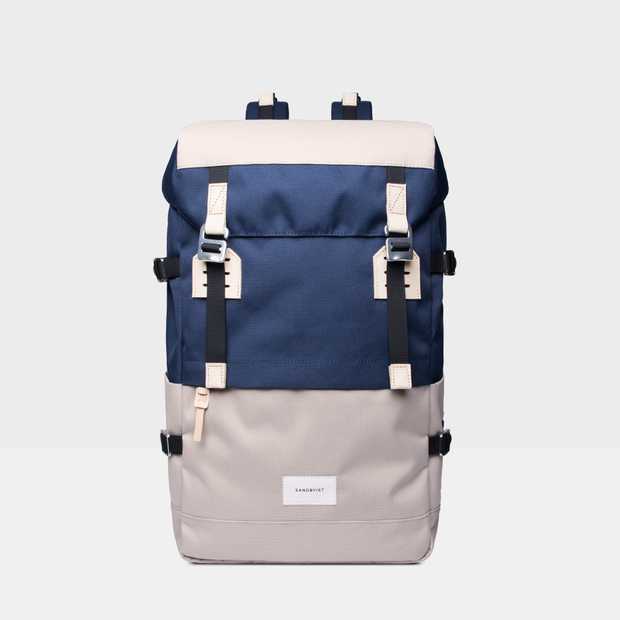 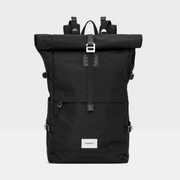 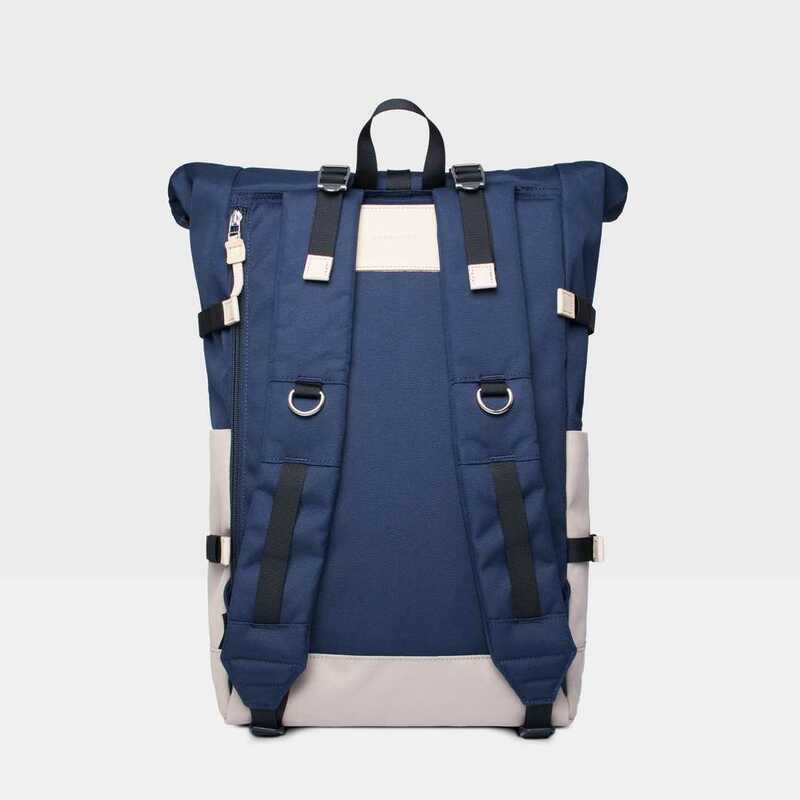 Durable and functional roll top backpack made in water resistant Cordura® EcoMade polyester. Roll top closure with a button and metal hooks. 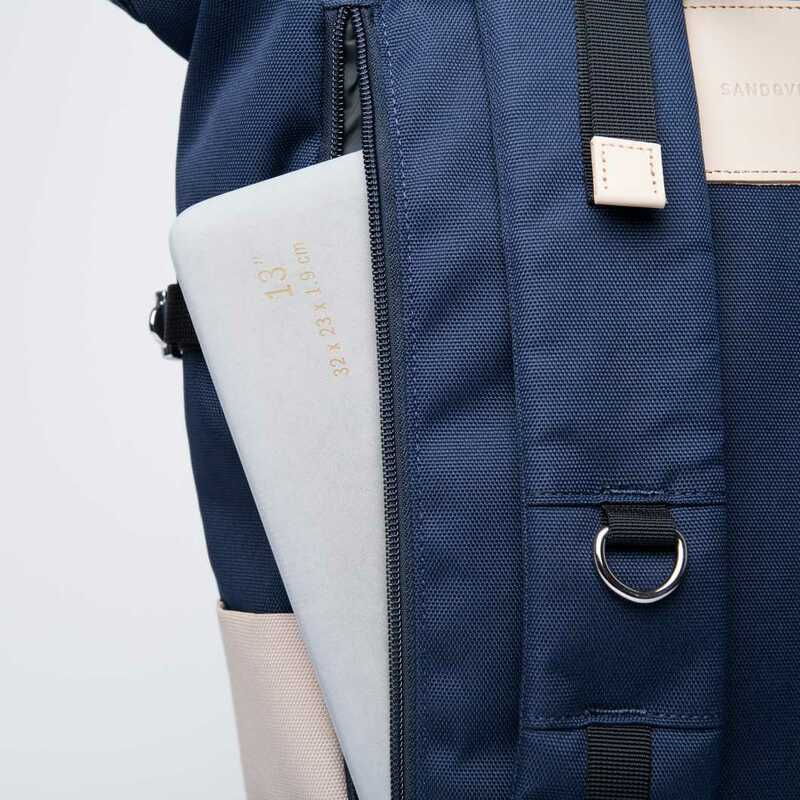 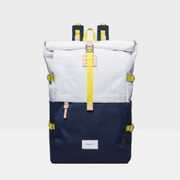 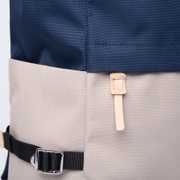 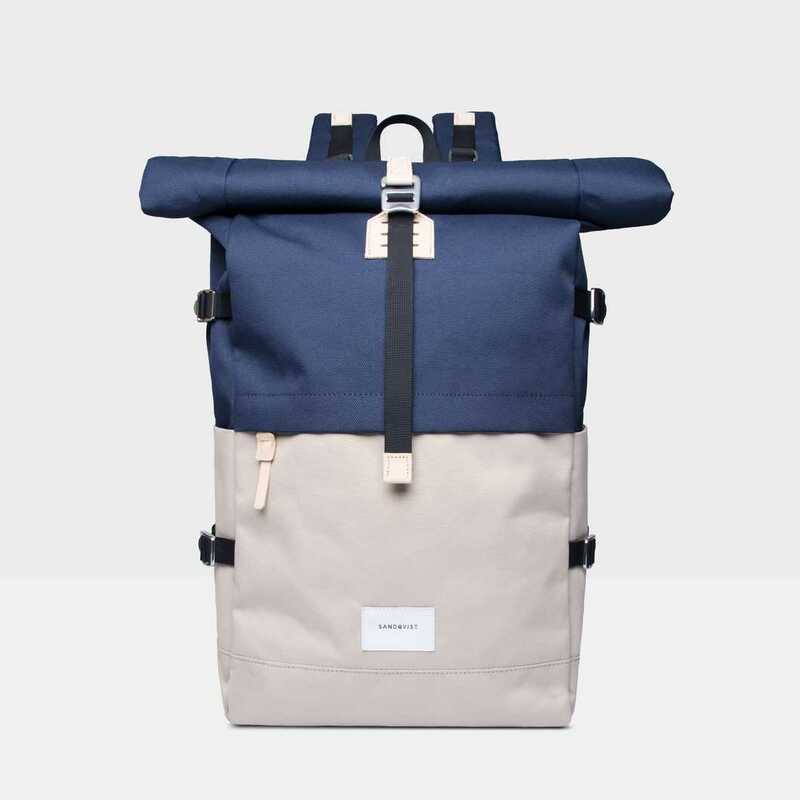 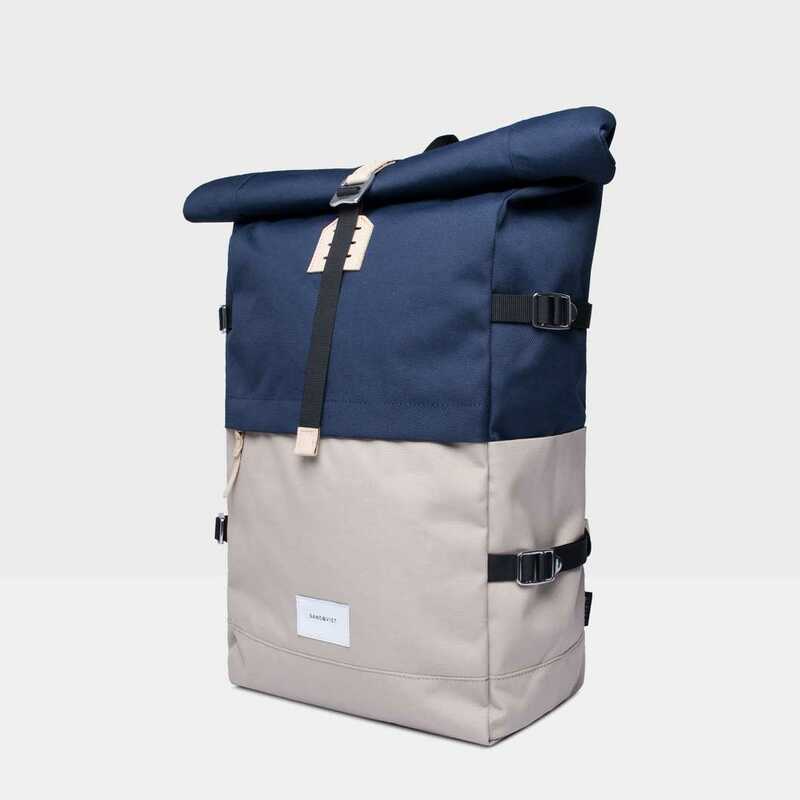 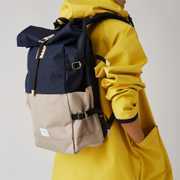 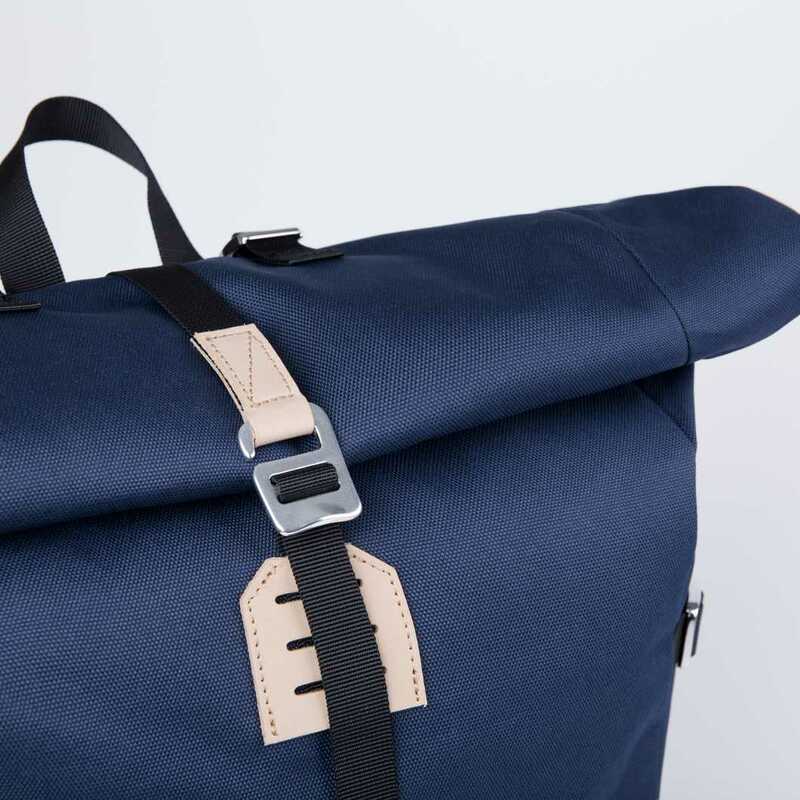 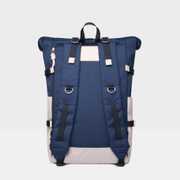 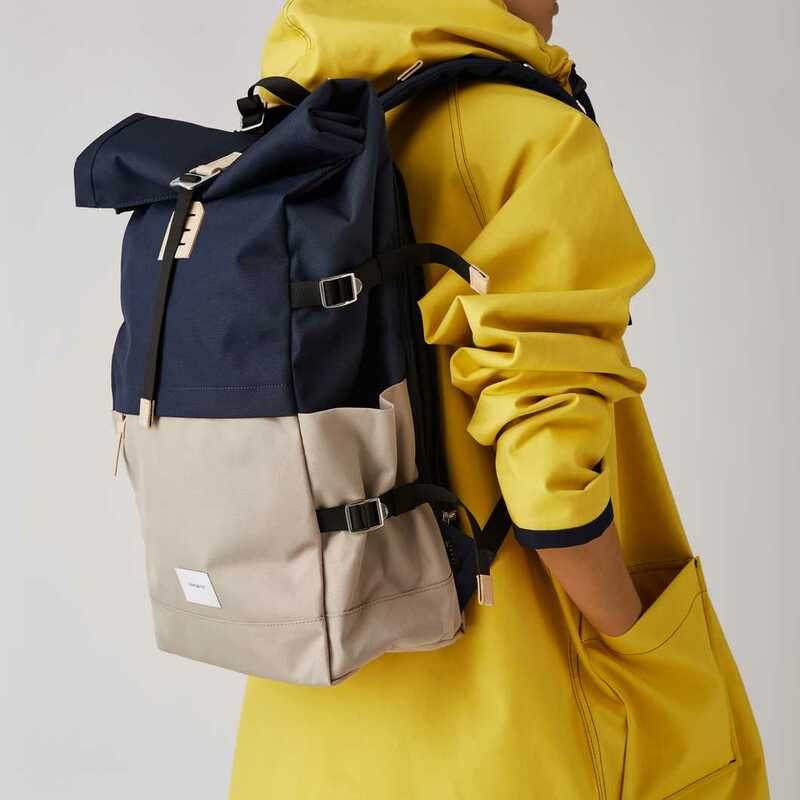 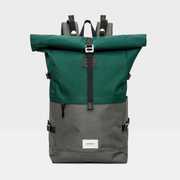 A laptop slip pocket that fits most 13"-laptops is placed on the back of the backpack and is reachable from a outer side zipper. 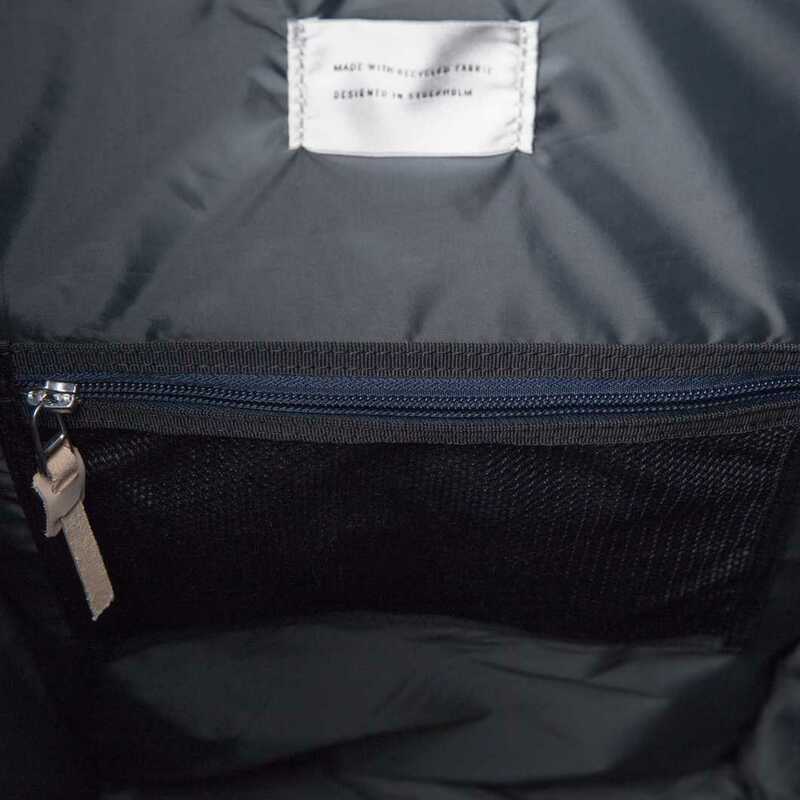 Inside contains several zipper and slip pockets. 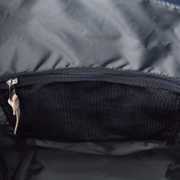 A zipper pocket is placed in the front of the bag and gives you easy access to frequently used items. 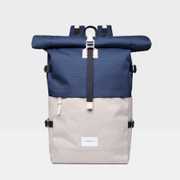 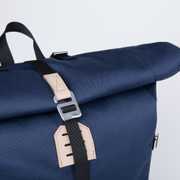 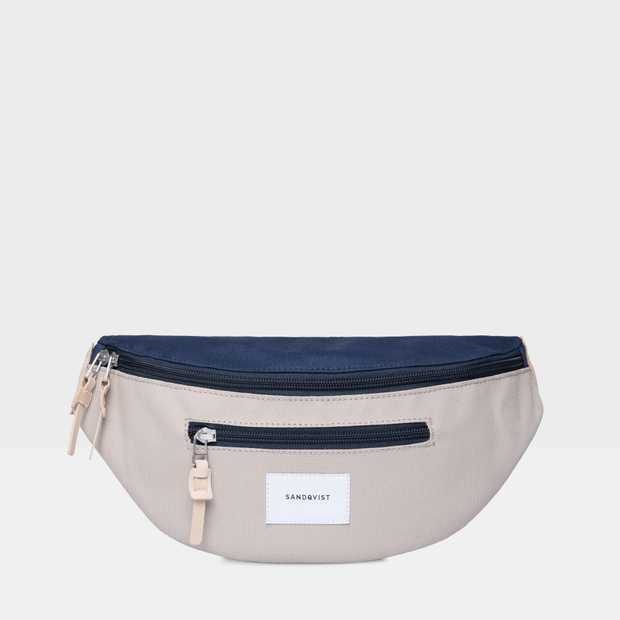 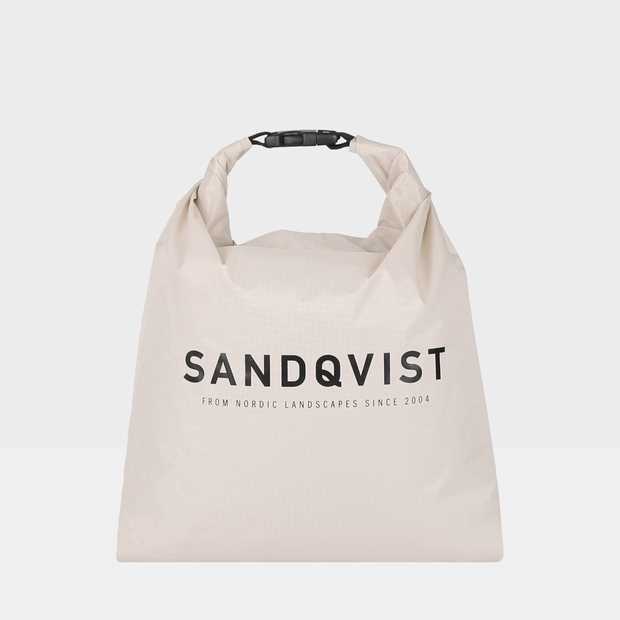 Two outer side slip pockets are placed on each side of the bag. 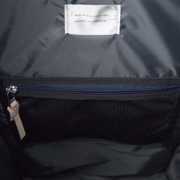 The side webbings and shoulder straps are adjustable.